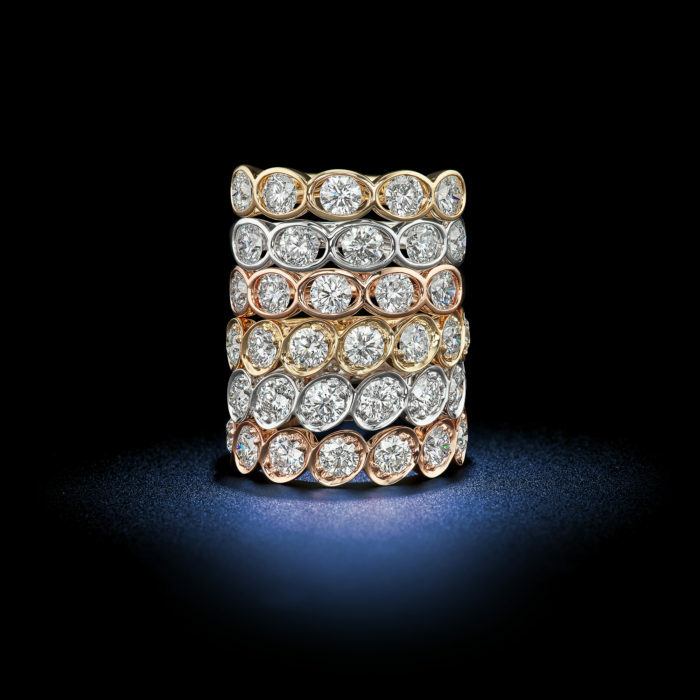 Tri-Color Oval Eternity Band Stackable Rings - Rosenberg Diamonds & Co. These colorful designs display luxurious tones of 18kt gold. Brilliant round White diamonds glisten across each setting. While these gorgeous rings are always fun to stack together for a creative touch of color at a soiree, alone they command a graceful elegance worthy of the most beautiful wedding bands. 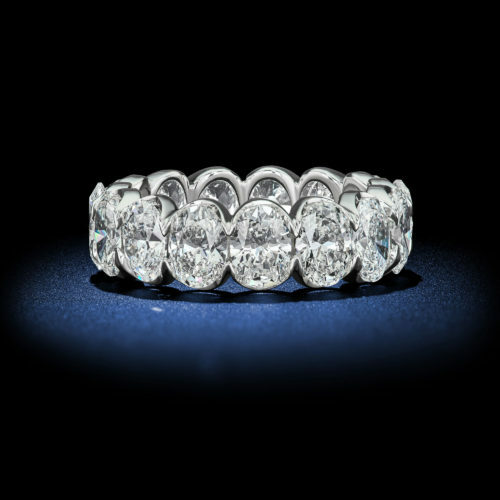 15 perfectly matched colorless oval shape diamonds glitter with fiery brilliance in a unique 18kt white gold half-bezel eternity band setting. The half-bezel design allows for more light to enter each stone and creates an even more radiant and captivating masterpiece. 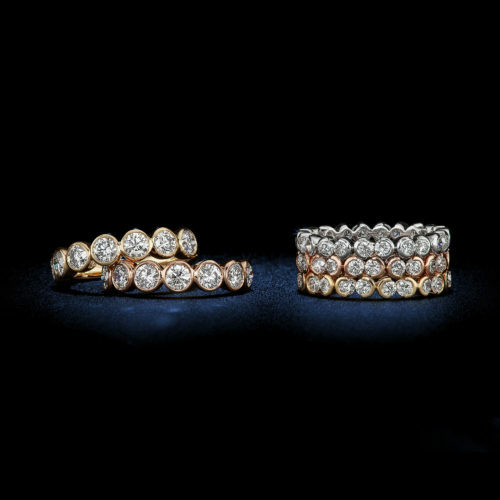 These charming rings go on forever with an eternity design in a multitude of 18kt gold tones that hug the shape of each splendid round brilliant diamond. An air of grace and elegance that stacks perfectly in a collage of color and fire. This vibrant crown of roses shows a decadent split shank design in pure platinum brought to life with countless round brilliant Pavé accents. 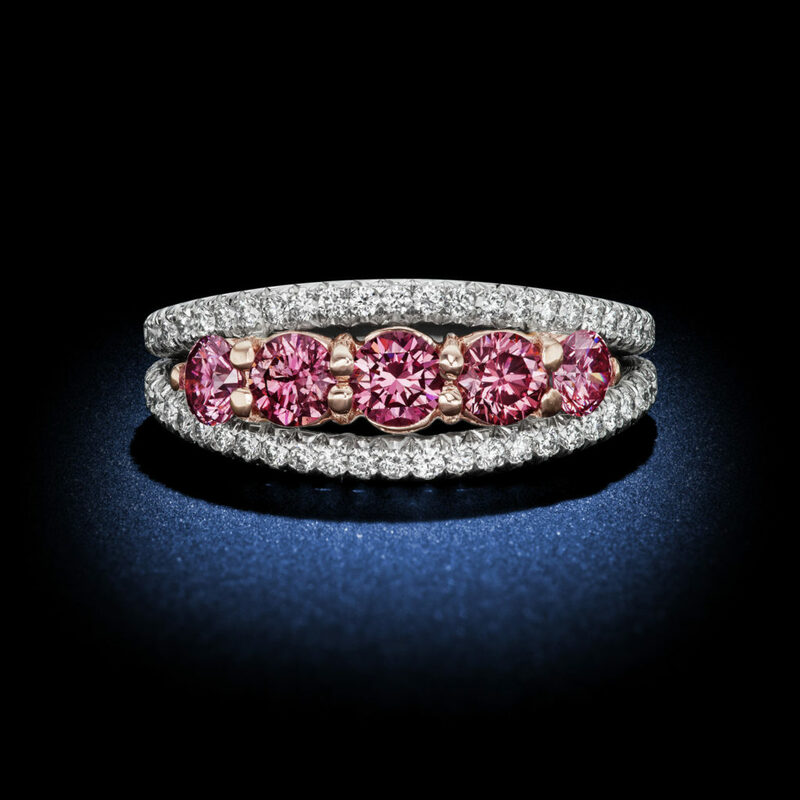 At center, five overwhelmingly rare and beautiful round fancy intense pink Diamonds display their one-of-a-kind color within 18kt rose gold settings. 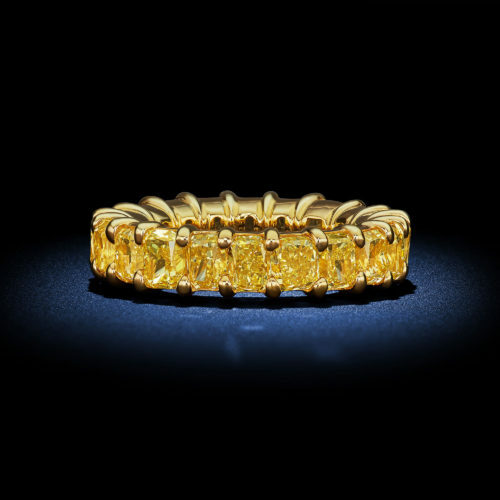 Over 10 carats of natural fancy intense Yellow radiant cut diamonds glow in a captivating wedding band of 18kt yellow gold. Each diamond was distinctly selected by David Rosenberg to perfectly compliment one another for an impressive design that merges, color, light, and beauty.